Earn $4.31 in VIP credit (431 points)What's This? 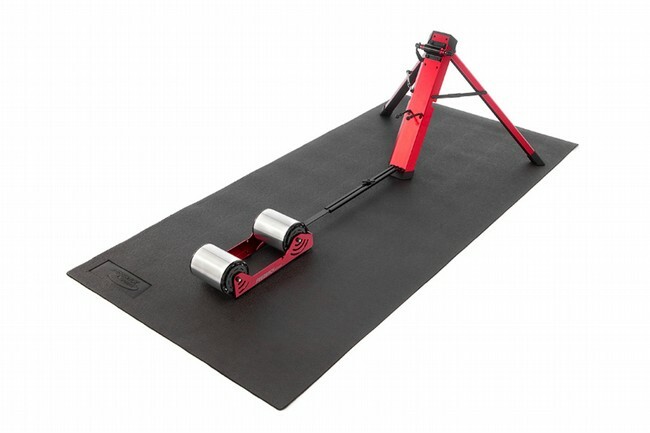 The Feedback Trainer Mat protects floors from marks and sweat while using a stationary trainer as well as providing a sound-deadening surface for riding on. 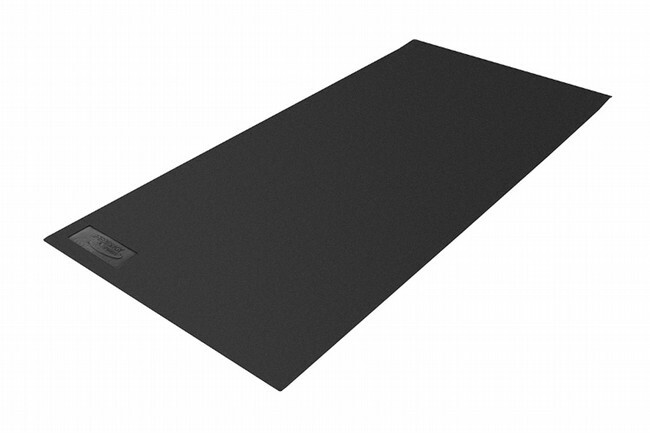 The heavy duty PVC foam is 4 mm thick and will also help keep rollers and trainers from moving around under hard pedaling. It measures 35" x 70" and can be easily cleaned with soap and water and rolled up for storage. 35" x 70". Constructed from PVC foam. I use it as designed as a floor mat under the stationary tracing. Wipes up easy. So far doggies are leaving it alone and not as a chew toy like the others that preceded it.